The church heating system uses the Mach ProView and Mach ProZone controllers. 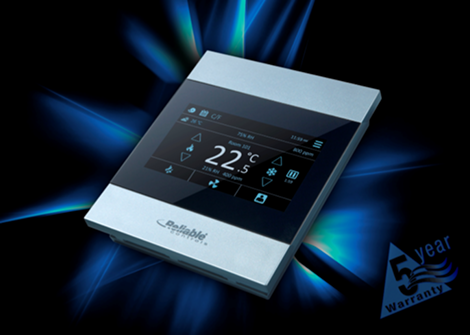 The Mach ProView is the main user interface for the staff where time programs and temperature setpoints are adjusted. Space sensors mounted in the church maintain the temperature at the required level, with optimum start control routines incorporated to ensure that the space temperature reaches the required setpoint at exactly the time church services are scheduled to begin. The twin head heating pumps are set up for run and standby operation, which is rotated weekly so that all pumps have similar runtimes and no pump is left idle for extended periods.